There is a very special connection between Macy’s and the family of Anne Frank. In 1877, a German Jew, Nathan Straus, Sr., who had immigrated to the U.S. twenty five years earlier, persuaded Macy’s founder, Rowland Hussey Macy, to allow him to open his crockery business in the basement of Macy’s fancy dry goods store. Thus began the first ever departmental store. Nathan Straus Sr. and his brother, Isidor, would become co-owners of R.H. Macy & Co.
Nathan Straus, Sr., was extremely well known for having brought pasteurization to the world. He ran a large pasteurization plant in Heidelberg, Germany. 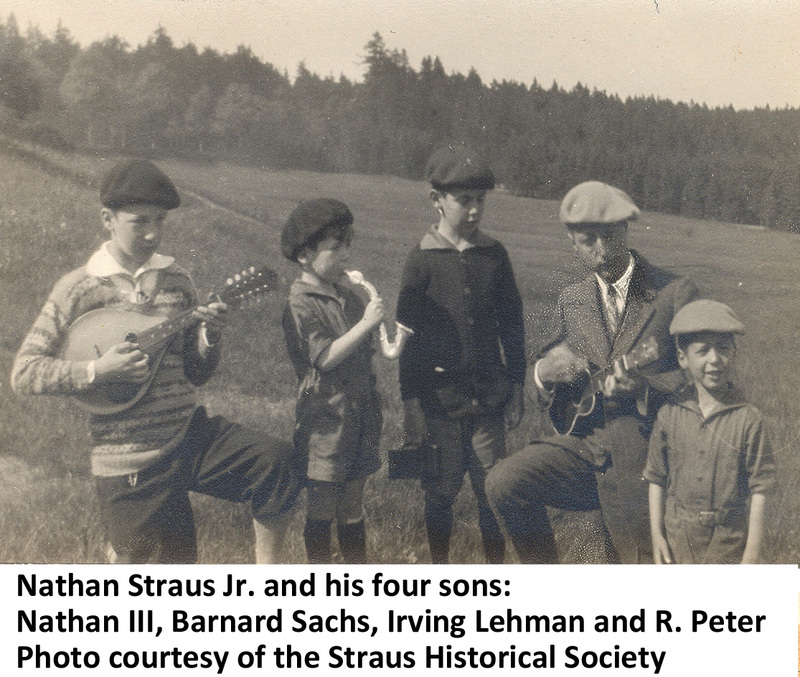 When his son, Charley, who later changed his name to Nathan Straus, Jnr, attended Heidelberg University, his roommate was Otto Frank, Anne Frank’s father. After graduation, Nathan Straus, Sr., at his son’s urging, invited Otto to New York to work at Macy’s. Nathan Straus, Jnr. and his wife did all they could to help, corresponding directly with the acting director of the Migration Department. They secured all the necessary documentation, but the U.S. State Department took over matters of immigration and changed the laws on July 1, 1941. On that day, Nathan Straus, Jnr. sent a letter to Otto Frank saying: “I am afraid, however, the news is not good news.” The new laws had made it impossible for Otto Frank and his family to find safe haven in the U.S. Nathan Straus then posted bond for Otto to get a visa for Cuba, but that plan failed, too, with the attack on Pearl Harbor. Otto Frank was the only member of his family and the others in hiding with them in the secret annex in Amsterdam who survived the Holocaust and WWII. His friendship with Nathan Straus Jnr. continued. It was Nathan Straus, Jnr. who approached Eleanor Roosevelt and asked her to write the foreword to the first American edition of the diary of Anne Frank, entitled The Diary of a Young Girl.